All Downton Abbey fans of the historical period unite. 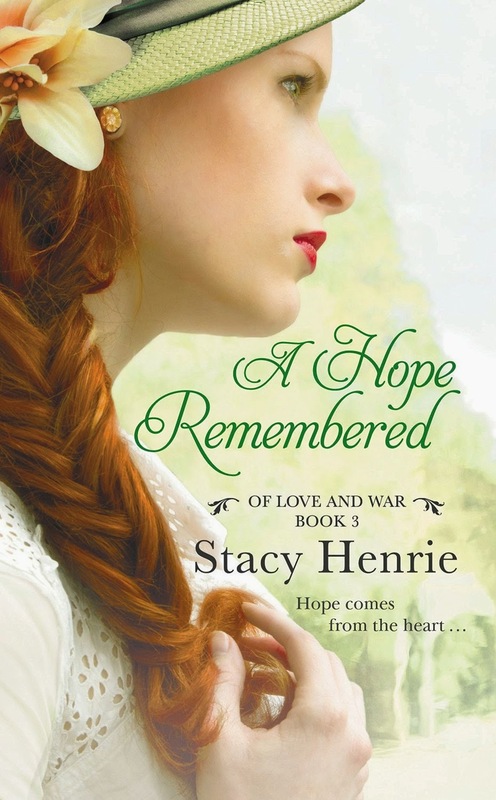 A HOPE REMEMBERED is set in 1920 and takes place just after World War I and the Spanish Influenza of 1918. Nora Lewis, grieving her fiancé and parents, finds out she has inherited property in England. Unable to remain on her Iowa farm where all her childhood memories (and promises) remain, she decides to try her hand at being a sheep farmer. She meets Colin Ashby, the son of a baronet, who has also experienced terrible loss due to the war. It is the best of romances, based on friendship, kindness, and understanding of each other’s pain. I loved watching the love unfold on the pages as Colin first helps her settle into her cottage and then is given the horrible and dutiful task of getting her to sell her property to his father so the estate can be saved. The more time he spends with Nora, knowing he is destined for heartbreak the closer he gets to her, it becomes easily apparent they are so in love with each other. The conflict lies in her pain at betraying her love for her dead fiancé; and his duty to his father and his promise to his older brother who asked him to protect their estate at all costs, should Colin become baronet instead of him. There is also some conflict where Nora has a number of vandalisms and a note indicating she is not welcome at her new home. The greatest hurdle, of course, is saving the great estate while not betraying and hurting Nora. Fortunately, as with all grand romances, it works out in the end, mysteriously. This romance would be categorized as “sweet”, a light inspirational book that has God and great faith in its underpinnings, but not browbeating for the reader. I’m going to find the first two in this series and catch up because this was simply a most delightful novel with well-fleshed characters and conflict. I hope you enjoy it as much as I did. This time period is a favorite of mine and this novel sounds like one I need to read. Thanks so much for sharing! I love this time period as well, Connie. I hope you enjoy it as well! My library (which I admit is an awesome library for the small town I live in) had all the books available for check out...I hope you're able to get your hands on a copy as soon as you can. I enjoy this time period as well and this book sounds like one I would enjoy. Thanks for the review. Well this is another to add to the TBR list, which is out of control :) love this time period. I have this already, but have not gotten around to reading it yet. Now, I can't wait to start! !